The British Virgin Islands (BVI) is a small British territory in the Caribbean, east of Puerto Rico by about 45 miles. The major islands comprising the BVI are Anegada, Tortola, Virgin Gorda, and Jost Van Dyke, which are joined by several dozen additional cays and small islands. The British Virgin Islands have become world-famous for snorkeling, swimming, and sailing – as well as their status as a tax haven. While most may associate the islands with tourism and leisure, the Internal Revenue Service tends to focus on the financial activities of the expatriates who live there. If you have recently expatriated to the British Virgin Islands, or are thinking about expatriating in the future, it’s crucial that you take proactive steps to ensure your compliance with all IRS reporting requirements. 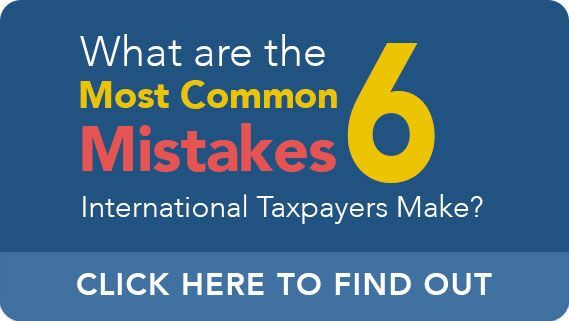 The United States is unique in subjecting global income to US income tax, and failure to file forms, make payments, or disclose bank accounts can result in the imposition of devastating civil penalties. Depending on the circumstances, you may even be at risk for criminal prosecution. Are You a Covered Expatriate? On the date of your expatriation, your net worth was $2 million or greater. You were unable to certify that, for the five years leading up to your date of expatriation, you were in total compliance with all federal tax requirements, via Form 8854 (Initial and Annual Expatriation Statement). This certification requirement also extends to informational returns. Unfortunately, your classification as a covered expatriate can have negative financial consequences for your loved ones. In accordance with 26 US Code § 2801, a devastating 40% tax may be imposed upon any gift or inheritance you leave to a US citizen. Additionally, you may face obstacles if you attempt to return to the United States in the future. A piece of legislation called the Reed Amendment, which is part of the Illegal Immigration Reform and Immigrant Responsibility Act of 1996, states that expatriates to the British Virgin Islands (or any other nations or territories) can be barred from re-entry if the Attorney General finds that you expatriated in order to avoid paying US taxes. As the previous section notes, expatriates are required to complete and submit Form 8854, which is filed along with your final US income tax return. Because expatriates are required to file tax returns for their final year as a citizen – even if it was only a small part of the year – you would file Form 8854 after expatriating. For example, if you expatriated in 2018, you would not have to file Form 8854 until you filed your final tax return on April 15, 2019 (or, if you are using one of the IRS’ filing deadline extensions, June 15 or October 15). Failure to file Form 8854 can result in the imposition of substantial penalties. In addition to running the risk of being labeled a covered expatriate, you can also be fined up to $10,000. If you failed to file Form 8854, or are late in filing, you should seek help from an experienced CPA as soon as possible. Over the past decade, the IRS has redoubled its efforts to investigate – and refer for prosecution – individuals, banks, and financial institutions which fail to disclose worldwide income. 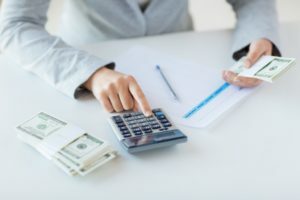 Even in cases where the individual manages to avoid prosecution, he or she may nonetheless be subject to debilitating fines in the tens or hundreds of thousands of dollars. In 1970, Congress enacted the Bank Secrecy Act, a component of which is called the Report of Foreign Bank and Financial Accounts, or FBAR. While FBAR has been in existence for decades, enforcement has increased dramatically in recent years. Despite its intended purpose – to catch and prevent offshore tax evasion – FBAR has had the unfortunate effect of entangling countless expatriates in its extremely broad pair of requirements. Many expatriates are completely unaware that FBAR even applies to them until they have already received a notice from the IRS. You are a US person with financial interest in, or signature authority over, one or more financial accounts or bank accounts in the British Virgin Islands (or elsewhere outside the US). The combined value of the account(s) was greater than $10,000 at any point during the year. If you accidentally or negligently fail to file an FBAR, you can be fined up to $10,000. If your failure to file was willful, or intentional, not only can you receive a civil fine of up to either $100,000 or 50% of the account balance – whichever figure is greater – you can also be sentenced to up to five years in prison, and/or receive a criminal fine of up to $250,000. Thus, the total fines for willful failure to file may be as great as $350,000. In light of the considerable penalties the IRS may impose for failures to disclose and other acts of non-compliance – and the tight deadlines which taxpayers are expected to observe – it is wise to consult with a CPA as soon as possible if you have any questions at all regarding your tax liabilities as an expat living in the British Virgin Islands. To arrange for a free, private consultation, call US Tax Help at (541) 923-0903 today.